The early detection of alcohol abuse and addiction goes a long way towards an individual making a successful recovery. Starting treatment during the early stages of an addiction is favorable for recovery. 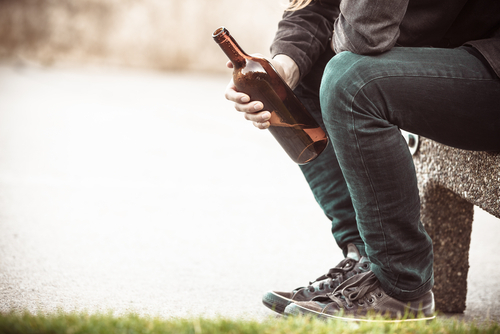 So how does one identify alcohol abuse and addiction? Attempting to hide drinking or make excuses for excessive drinking. Alcohol withdrawal symptoms when abstaining from drinking for even a few hours or days. Continuing to drink despite the fact that it causes problems in their life. Spending more and more time recovering from drinking episodes. Experiencing memory loss and blackouts. Continuing to drive after drinking. Repeated attempts at sobriety but always going back to drinking. Keep in mind however that the best person to diagnose alcoholism is an expert. The symptoms of alcohol abuse and addiction are cautionary signs that damage is occurring to the life of the individual with addiction. It could be problems with their health, relationships, job or mind. If these signs are overlooked then the individual could head down a spiral towards a full blown addiction. Objectivity is difficult when it comes to a loved one’s struggle with alcohol. Family and friends don’t always want to admit that that the individual has a problem. Any confrontation can have emotions running high. The individual with the problem will either try to deny their abuse of alcohol or try to rationalize it. The larger issue is that there is a social acceptance of alcohol. While social drinking will not lead to abuse or dependence on alcohol for most people, there are still millions of people who are dependent. And individuals with an alcohol dependency continue to drink despite ever increasing problems in their lives. That is the biggest sign of alcoholism. For most people, drinking socially will not lead to abuse or dependence. However, there are millions of people who do have a physical dependence to alcohol. No matter what the consequences are, they will continue to drink, often ruining their own life and the lives of others. This is one of the key signs of alcoholism. The first step is to admit there is a problem. It takes a lot of courage to face one’s demons. The second step is to reach out for help. There are many avenues to find help. There are self help programs, 12 step programs or therapy. A good support system is essential to recovery. Hired Power provides supportive services to individuals with addiction. We can help you recover. Call us at 800-910-9299 to find out how.